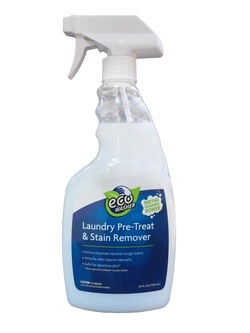 Supercharge your stain removing with EcoWasher® Laundry System! Want to take your stain-fighting power to the next level? Use EcoWasher® Laundry Pre-Treat & Stain Remover with EcoWasher® Detergent Free Laundry System to maximize your results exponentially! Just spray before washing! The only thing you'll need to fight tough stains. Remove tough organic stains with enzymes.